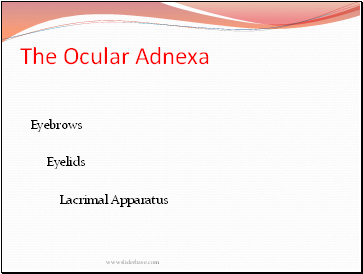 A thorough understanding of the anatomy of the eye, orbit, visual pathways, upper cranial nerves, and central pathways for the control of eye movements is a prerequisite for proper interpretation of diseases having ocular manifestations. 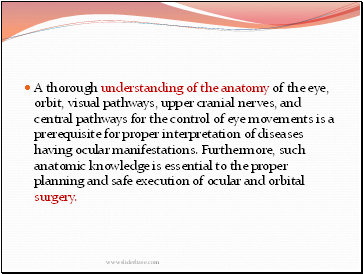 Furthermore, such anatomic knowledge is essential to the proper planning and safe execution of ocular and orbital surgery. 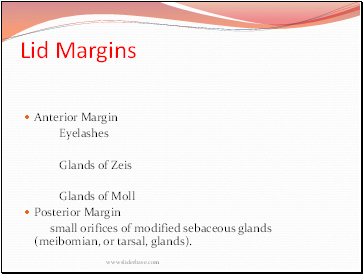 small orifices of modified sebaceous glands (meibomian, or tarsal, glands). 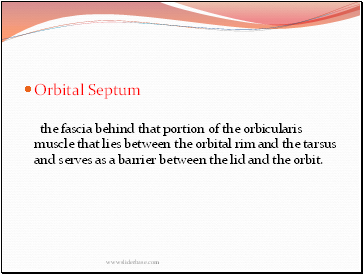 the fascia behind that portion of the orbicularis muscle that lies between the orbital rim and the tarsus and serves as a barrier between the lid and the orbit. 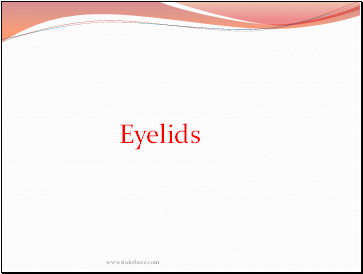 The lid retractors are responsible for opening the eyelids. 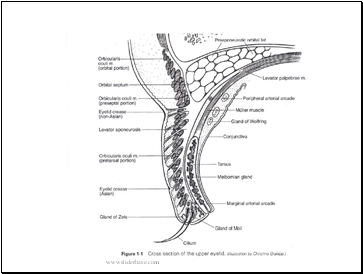 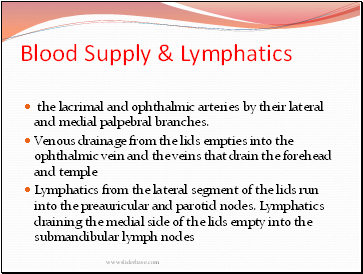 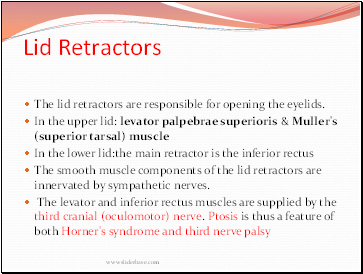 The smooth muscle components of the lid retractors are innervated by sympathetic nerves. 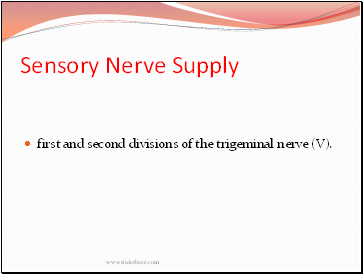 first and second divisions of the trigeminal nerve (V). 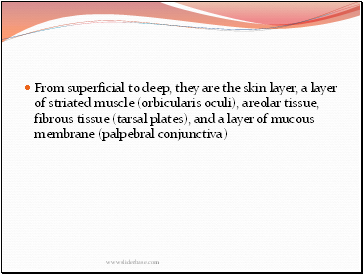 the lacrimal and ophthalmic arteries by their lateral and medial palpebral branches.